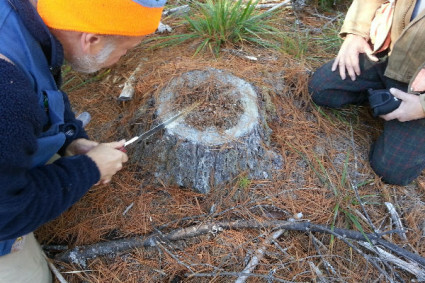 Approximately one year after the crop tree release practice was applied, the landowners measured the diameter of the white pine trees that were selected for growth rate studies by the University of Maine students. 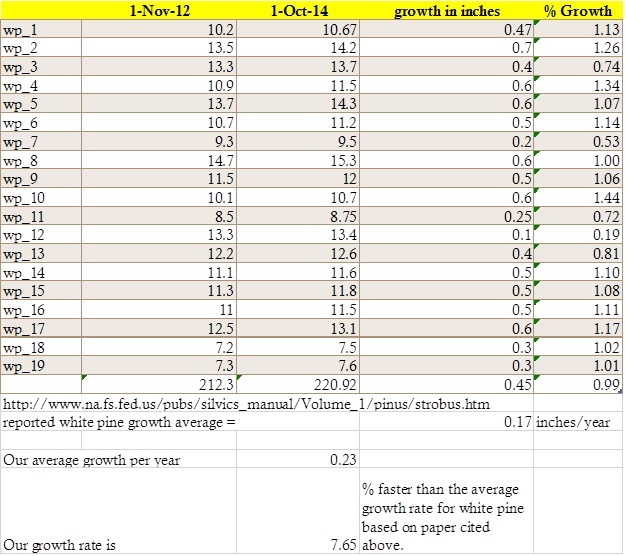 From the data below, you can see how much growth was observed after just 2 years. We will be measuring again in 2017 to update these numbers.